Stick to what you know, Warren Buffett often says about running a successful business. And Mansory is damn sure sticking to what it knows: making cars look awful for rich people. Photos don’t do the Mercedes-AMG GT justice. In person it’s a very striking, timelessly pretty sports car with classic proportions. But for nouveau-riche Jersey Shore bros, Russian mafiosi and other shady characters, that simply will not do; they turn to Mansory and Mansory delivers. Why have the AMG GT’s simple, clean lines when you can massive fake-vented fender flares and a wing that probably did time as an extra in one of the lesser Fast & Furious movies? Why have the heritage and timeless recognition of the Mercedes badge when you can have a giant red “M” up front and back? Why be tasteful at all? Refining super cars is more than just a business for MANSORY. The attention to detail and the love of all that is special and unique is what drives us to produce out- of-the-ordinary automobiles. The latest stroke of genius of the company once again proves this in an impressive way. 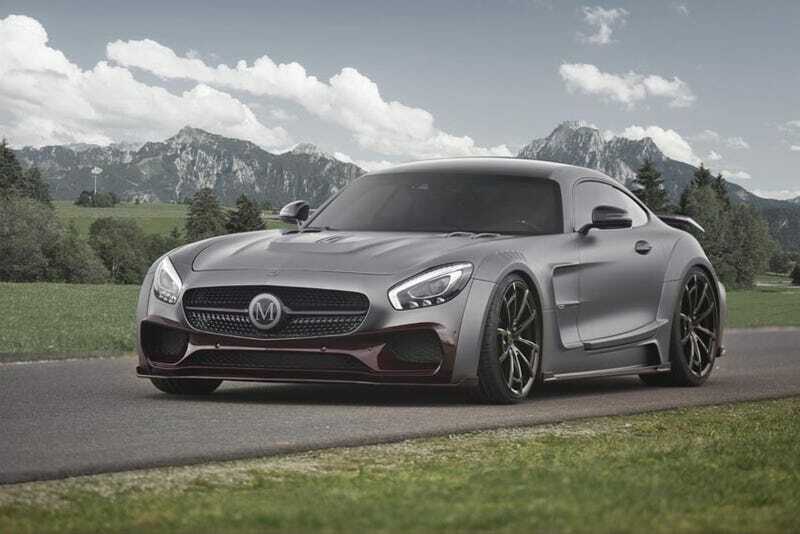 The MANSORY interpretation of the Mercedes AMG GT S with its exclusive and comprehensive refinement programme is enough to raise the blood pressure of true sports vehicle fans the world over. Oh, it raises my blood pressure alright. Don’t even get me started on that interior. I just can’t today, okay?